You’ve heard a lot about privacy concerns on Facebook. You’ve decided enough is enough. You’re going to deactivate your account. But what does that actually mean to your privacy? Is your personal data completely wiped? And is it better to deactivate or delete your profile? We need to differentiate between deactivation and deletion. You might’ve seen them used interchangeably, but they’re not the same. Deactivating your Facebook account is a temporary measure. Deletion is more permanent. We’ll cover both here as they have different implications for your personal privacy. Generally, however, deactivation means there’s still personal information about you online. Deleting Facebook doesn’t mean all your details will be erased, though. Does Deactivation Erase All Your Personal Data? Facebook deactivation puts your data in stasis. If you want to return to Facebook, your profile still exists. Your timeline becomes invisible, but your personal information will still be held by the company. That’s because Facebook wants you back. Everything is restored if you sign back in. All you’re doing when you deactivate Facebook is stopping your profile from being publicly visible. It’s a good move if all you’re concerned about is your peers (and potential strangers searching for you) knowing too much about you. Your comments on other people’s posts won’t disappear. However, your profile picture will be replaced by a default Facebook image (i.e. the gray silhouette) and no one will be able to click on your name to get to your timeline. So what happens to Messenger? When you deactivate Facebook, it’ll ask whether you want to stop using the instant messaging service too. Yes, you can use Messenger without having a Facebook account. Your messages won’t vanish, even if you deactivate. In fact, they won’t vanish if you delete Facebook either: instead, they’ll simply read “Facebook User”. Does Deleting Facebook Erase All Your Personal Data? Deactivation won’t erase everything—so what can you do? Deleting Facebook sounds like a solid option… except some data persists. It takes 30 days after you request account deletion for your profile to entirely vanish. This period gives you leeway in case you decide you don’t want to permanently leave Facebook. However, it can take 90 days for the company to delete your data; no other parties can access your data in the time it takes to get rid of your account. Your timeline will no longer exist. You’ll automatically be taken off any pages you “like”. You won’t be a member of any groups. Your online persona will effectively disappear. However, that doesn’t mean everything will be deleted. Some information will be kept, albeit stripped of personal identifiers. You become a demographic. Facebook and its third-parties use those statistics. Your comments aren’t deleted either. Think of them as flotsam and jetsam. Let’s say you commented on a MakeUseOf Facebook post a few years ago—that will still exist. Crucially, your log data (a record of all you do, including times you log in and groups you frequent) remains. Your name isn’t attached to that data though. Essentially, this is the same thing that happens if you deactivate your account. Your profile picture is replaced by the default icon. Normally, if you click on someone’s name in the comments section, you’ll be redirected to their timeline. The link vanishes once you delete Facebook because there’s nothing for it to lead to. What Happens to Tags in Facebook Photos? It doesn’t matter if you deactivate or delete Facebook; the same thing happens to any photos you’re tagged in. Deleting your account doesn’t affect other people’s. how to avoid being tagged with embarrassing photos on facebook on your birthday? Tags will revert to Plain Text. The link to your profile will expire. Obviously, if you reactivate your account, these links (including comments) will become active again. What does this mean for your privacy? Based on tagged photos, Facebook can still recognize you. How? Using facial recognition software called DeepFace. This tool stores your face as a neural network by noting distinct features and relative measurements. Your face becomes a data composite, which Facebook uses to suggest matches in images. Once you’re tagged in photos, Facebook knows what you look like. Because those tags aren’t deleted, your data set will be kept. Fortunately, such tags aren’t always right. Scroll through your tagged pictures and you’ll see an array of inaccuracies. Friends might have tagged you in something just to make sure you see it. Or they’ll have added the tag anywhere, muddying the water. And that’s fine because Facebook does this automatically. They just use smart algorithms to suggest tags; no one will actually be looking for you individually. 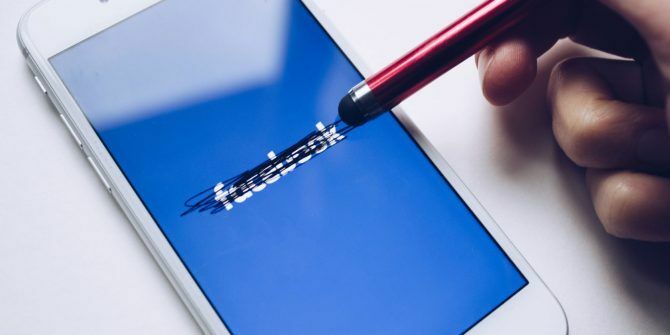 If a friend’s account (or your own, if you’ve only deactivated Facebook) is hacked, however, a cybercriminal could, in theory, use their intuition to work out exactly what you look like. But why? 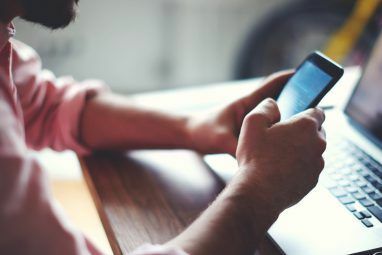 Personally Identifiable Information (PII)—like your name, address, and date of birth—can be useful to hackers, but recognizing your face won’t do them much good. No, you won’t be untagged from photos, but generally, there’s very little cause for concern. What Happens to Third-Party Facebook Logins? Many services now let you sign in using a Facebook account. These include popular apps like Spotify, Etsy, and LinkedIn, so what happens when you delete or deactivate Facebook? You’ll automatically sign out of these services, and further steps will hinge on individual apps. We advise you do your research before deleting permanently. It’s worth contacting the third-parties you intend to continue using in the future. In many cases, you’ll have to create new accounts. Can they still access your data after deleting your profile? Facebook asserts that, once you begin the deletion process, no other services can see your personal information. That’s definitely a positive. But third parties aren’t obliged to get rid of their data. It just means they can’t get more private information from your social media page. Deleting Facebook certainly doesn’t equate to deleting other accounts. You might wonder, then, what details they get from Facebook. They can at least access what’s on your public profile, meaning your name, profile picture, and anything else you’ve not hidden when managing your Facebook privacy settings. It also depends on the third-party. They harvest information most pertinent to their business. Trip Advisor, for instance, can present adverts to you based on where your friends have recently traveled to or reviewed. 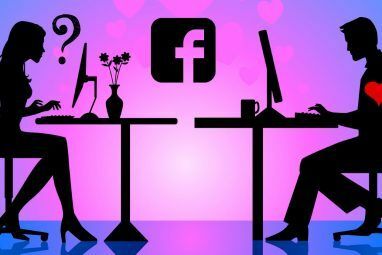 Tinder judges your interests based on “likes”, so you might not get the most accurate matches without connecting to Facebook. How Else Can Facebook Spy on You? Want to escape Facebook? The firm now owns a few services which gobble up data. You’ll need to cleanse your smartphone if you’re serious about your privacy. Many of Facebook’s acquisitions have been conglomerated into the social network itself, like Face.com and Bloomsbury AI. You don’t need to worry about these if you delete Facebook. But the company’s other purchases can carry on collecting data about you, with that information ending back at Facebook Inc. Some are obvious: Facebook Messenger carries its parent company in its name. If you don’t want Facebook knowing much about you, limit what personal details you share there. Then there’s Instagram, which seems like a great way to share your photography portfolio and chat with friends. Don’t be fooled: Instagram is spying on you 4 Ways Instagram Is Spying on You Right Now 4 Ways Instagram Is Spying on You Right Now Since Facebook's acquisition of Instagram, some users have got suspicious. While it isn't a malicious social network, it's entirely believable that Instagram can be used to spy on you. Read More . That’s without mentioning Facebook’s costliest ever acquisition, WhatsApp! If you really want to escape the Facebook umbrella, you’ll likely need to uninstall a few useful apps. It’s up to you to decide whether it’s really worth it. Don’t Have Facebook? You’re Still Not Safe! You don’t need a Facebook account for the company to create a shadow profile of you. This won’t be as extensive as an actual Facebook user. This isn’t your sole concern. The company got in trouble for tracking and transmitting cookies collected by the social plug-in used to “like” pages across millions of websites. Deleting Facebook restricts what data is collected, yet the network extends beyond its own site. Do You “Like” Your Own Privacy? Leaving the platform entirely is a big step. If you’re not sure about deleting Facebook, try deactivation first. If you deactivate, your data isn’t publicly available, but Facebook still stores it. Most of your details will be wiped within 90 days if you delete your account, though traces will remain. So if you’ve made up your mind, here’s how to delete or deactivate Facebook How to Deactivate (or Delete) Your Facebook Account How to Deactivate (or Delete) Your Facebook Account If you need a break from Facebook, or if you want to stop using it altogether, here's how you can either deactivate or delete your account. Read More . "Does Deleting Facebook Erase All Your Personal Data?" It is analogous to deleting a file or a folder from your hard drive. The data is not physically deleted, only the pointers to it are. That is why undelete utilities, such as PhotoRec, work.